The Hudson River school reform movement had the intention of making an American statement in the artistic world. 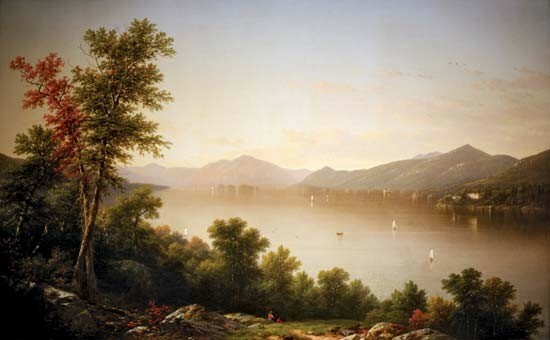 It was called the Hudson River school not because of its location, but because of what the school signified. Artists in this group wanted to celebrate the beauty of the American landscape and show independence through their paintings. It was the first truly independent American art school. What motivated the Hudson River School Reform? This reform movement was firstly motivated by the English-born Thomas Cole who eventually also founded the school. Artists were inspired not only by America's unique and beautiful landscapes, but also by a sense of pride and nationalism. They wanted to express their pride in America's nature through their works. Though Thomas Cole was English, he had a profound love for American scenery and wanted to present them as, "more wild and natural than those of Europe". Artists of the Hudson River School movement wanted to show that America was becoming more independent. It was creating a new and never-before seen way of thinking than that of Europe. They wanted to show that America really was moving forward not just in economic aspects, but in artistic and cultural ones as well. As they did so they also got to reveal the unique landscapes of the North American continent. To show how distinguished North America was from the old world, many artists worked really hard to capture the essence of the American ecological systems. The school did not only consist of visual artists (painters and drawers) but also of some writers who, through their words and poetry managed to invoke a sense of nationalism in the public. They wanted to show what nature was like: its rivers, lakes, plants, animals, etc. One man who achieved this goal in particular was James Audubon, who created a series of artworks featuring American birds. He painted and drew them so vividly that it was hard not to marvel at the pieces. He collected these works in books and are still safely kept to this day. 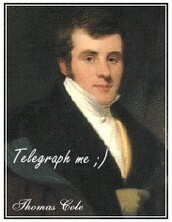 Thomas Cole was not only the founder of the school, but also the one who started it all in New York city. He had traveled to New York city from Lancashire, England in 1825 and set out to become a landscape artist after viewing the landscapes of artist Thomas Doughty in Philadelphia. He had created a series of paintings that caught the attrition of three influential artists, one being Asher Durand, that made him gain a lot of recognition. He later founded the Hudson River school in the same year. He created a lot of beautiful pieces. One of the school's and his personal most famous series of paintings was "The Course of Empire" arts. One reason for why you should donate money is to support a cause that separates us Americans from the old Europeans. We will free ourselves of their influence and become even more independent. We will create a new and improved genre of art! A second reason for why you should support the cause is because with your help, not only are we becoming more independent, but we get to show off our beautiful land to the snobby Europeans as well! It is time we show them that our land is beautiful; vibrant and wild. The works of the artists in the Hudson River School will portray all of this in their works if only you support and sponsor them! Lastly, you get a beautiful piece of art for yourself! There is never any harm in acquiring a gorgeous piece of art that reminds us of our beautiful country! Put it in your family room, in your dining room, over a cozy fireplace, even your study. You can never go wrong with adorning your house with the great lands of America, of our homeland! People who donate a large amount of money will get one large painting of their choice as well as the chance to meet the artist who created it and a short painting lesson from the artist himself! People who donate a good amount of money will get a small painting of their choice as well as a free art lesson from one of the Hudson River artists! Don't have a lot to donate? That's alright! People who donate a small amount of money will receive a small set of 2 paint brushes and a small container of oil paint in the color of your choice! 1- Giveaway! The rules for this are simple: The person should be above 18 years old, they have to donate at least one dollar, and they must share the flyer/giveaway announcement with at least one person. There will be three winners who will receive a large art kit including paintbrushes, paints, pencils, papers, and watercolors all that come in a stylish maple wood case. They will also win a trip for two to New York to visit the Metropolitan museum of art. 2- The opportunity of a lifetime. To spread the word about the cause we can also create a viral video. The video would feature artists from all over the U.S (since this is a North American cause). It doesn't matter if the artists are famous or unknown, they can send what art is to them and later incorporate the works into an amazing video showing how art is important to our country. Watts, Tim. "Hudson River School." American History. ABC-CLIO, 2015. Web. 15 Dec. 2015. "Hudson River School." Britannica School. N.p., n.d. Web. 15 Dec. 2015. Avery, Kevin J. "Heilbrunn Timeline of Art History." The Hudson River School. N.p., n.d. Web. 16 Dec. 2015. Use the #AmericaOverEurope to show your pride in the U.S! The Hudson River school is not responsible for any con artists, low quality paintings, damaged artworks, stolen items, or paintings that misinterpret American landscapes that look different in the paintings.